World War II Survivor Stirs Literary World With 'Outrage' One of the literary world's unexpected successes over the past year has been a book written by former French resistance fighter Stephane Hessel. 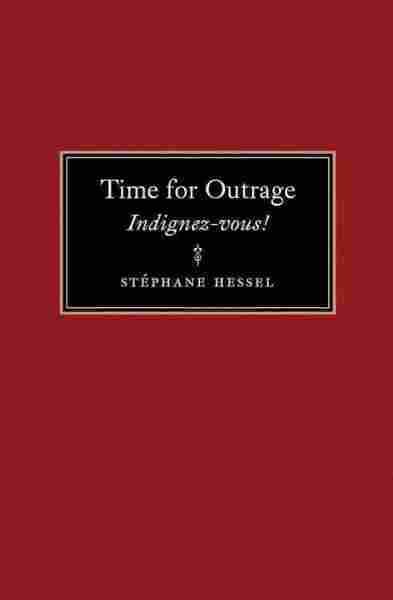 In Time for Outrage, Hessel calls for young people to resist the injustices of today's world — and he seems to have struck a nerve. 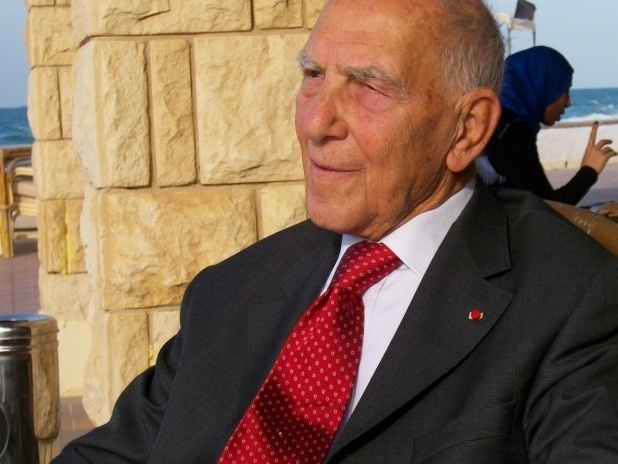 One of the literary world's unexpected successes over the past year has been a book written by former World War II French resistance fighter Stephane Hessel. In Time for Outrage, Hessel calls for young people to resist the injustices of today's world — and it would seem he's struck a nerve. Time for Outrage sold nearly 2 million copies in France and has been translated into more than 30 languages. It's now on sale across Europe and Latin America, and will even be released soon in China, although according to his editor the publication date has mysteriously been delayed. It comes out in the U.S. this week. In 1940, Hessel, then a soldier in the French army, was captured by German forces. He managed to escape from a prison camp in France and make his way south through Spain and Portugal to North Africa, then to London, where he joined Gen. Charles de Gaulle's resistance forces in March 1941. Hessel returned to occupied France as a resistance fighter, but was soon captured by the Gestapo and only narrowly avoided execution in a Nazi concentration camp before escaping to rejoin the Allies. He tells his story in the sitting room of his small Paris apartment. Now 94 years old, Hessel is trim and dapper in a coat and tie. His eyes twinkle with generosity, but that spark of resistance seems to have never left him. "If you want to be a real human being — a real woman, a real man — you cannot tolerate things which put you to indignation, to outrage," he says. "You must stand up. I always say to people, 'Look around; look at what makes you unhappy, what makes you furious, and then engage yourself in some action.'" In Time for Outrage, Hessel challenges young people to do just that. Injustice is widespread today, too, he says — though he admits that today's injustice isn't as clear-cut as it was in his day. "To be conquered by a nation like the Nazis, obviously it was insufferable," he says. "Today we are not in front of problems that immediately appear as impossible to accept. But if we look a little carefully, these challenges are there." He cites the growing gap between rich and poor, and the degradation of the planet as just two examples. Paris high school student Theodore Vonclair, 17, read Time for Outrage after a friend recommended it. "I was quite touched by it," Vonclair says. "Books asking people to think about these kinds of problems [are] quite useful, and you can't find them so often today, I think." Vonclair says he could get outraged about the economic crisis and violence in society, but he admits he hasn't acted on it yet. Still, French reaction to Hessel's book wasn't all positive. Some critics called it old-fashioned, and others were angry about the author's stance on Israel. Hessel, who is Jewish, was a French diplomat at the U.N. when Israel was born in 1948. He says he remembers it as a glorious moment but believes things have gone very wrong since then. "The Israeli government is not going the way [of] Jewish ideals," he says. "And the way they acted in Gaza with [Operation Cast Lead] is just impossible to tolerate for honest Jews." Hessel says he's delighted over the recent people's revolutions in the Arab world, which started just three months after his book came out in France. He doesn't claim any credit but says it is a nice coincidence. He says he's honored that his book is being published in America. Calling Franklin Delano Roosevelt the most important leader of the 20th century, Hessel says Roosevelt's New Deal and "Four Freedoms" speech set the standard for social and economic justice in the modern world. Hessel is passionate about justice, but he credits his own long life and good health to something very different; luck, love, happiness and poetry. He says he knows many of Shakespeare's sonnets by heart. "This one I ... used when I just had been arrested by the Gestapo," he says. "I was afraid that I would not survive, and so I put a little paper in my pocket that my wife should find." "No longer mourn for me when I am dead/ Than you shall hear the surly sullen bell/ Give warning to the world that I am fled/ From this vile world, with vilest worms to dwell."